Time for a little rant. For as long as I can remember, people have been sending me links to coffee news stories. 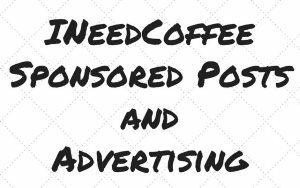 They know me as the publisher of INeedCoffee and they believe they’ve stumbled upon some coffee news item that has escaped my radar. The vast majority of the time, I’m not only already aware of the news item, but it is something I could care less about. For this article, I’ve decided to list the five coffee news stories that I NEVER want to read about ever again. Here goes. I plan on doing a full article on this topic, but for now I’ll keep it brief. I drink coffee, because I like the taste. It often makes me feel great and I enjoy the social aspect. If there are positive health benefits, that doesn’t impact my behavior. I will still drink coffee. Stop sending me links to stories about the latest animal that they have tricked into eating and pooping out coffee. Civet cats or birds or elephants or monkeys. I don’t care. It is old news. It may have been funny 10 years ago, but now there are several reports of animal cruelty related to civet cats and this process of coffee production. At the time of this writing, the Starbucks Corporation is worth $40 Billion (USD). Even though they are massively wealthy, they have figured out a way to get millions of dollars in free marketing. 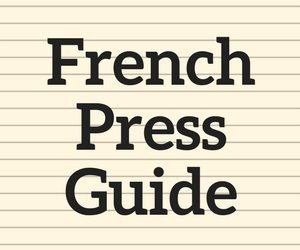 Every month or so they send out a press release about something they are up to and lazy reporters everywhere rearrange the words and publish it as “news”. Meanwhile, small independent coffee businesses with no marketing budgets that are doing far more innovative stuff with coffee can barely get a mention in their neighborhood blog. The latest Starbucks “news” story several people have sent me is about some $7 cup of coffee. Boring. In 2008, independent coffee shops were charging between $9 and $15 for a cup of Panama Esmeralda. Yeah, that is where independent coffee was four years ago. They were seeking out the highest quality microlots and paying top dollar for those beans. Only for them, it wasn’t a marketing gimmick. Their mission was to push the envelope in coffee quality and it is something they continue to do. 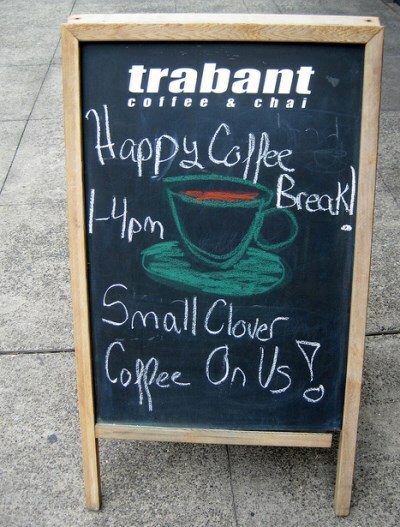 My first Clover Coffee was at Seattle’s Trabant Coffee in May of 2007. This was a full year before Starbucks purchased the company and even longer before they began deploying them into stores. Please don’t send me any news item related to Starbucks*. When I look back at my coffee education, I consider them middle school at best. 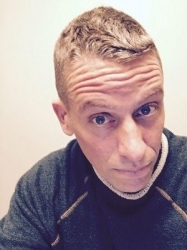 The reason INeedCoffee exists is to empower coffee drinkers to make better coffee at home. 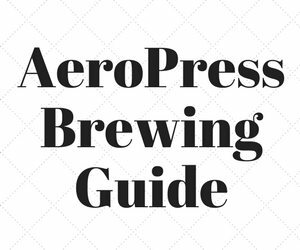 There are tutorials on this site that will teach you how to brew and roast coffee that is superior to anything Starbucks is capable of doing. * This also extends to Tully’s, Dunkin Donuts, McDonalds or any other publicly traded corporation that sells coffee. When did coffee become so difficult to make that we needed to fill our counters and break rooms with stale pod based coffee brewers? 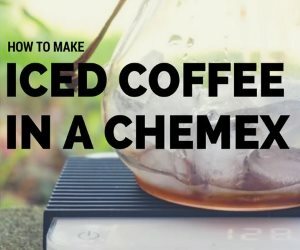 Is making coffee really that hard or messy? May I never receive another email that mentions Keurig, Senseo or whatever the latest mediocre pod based coffee maker happens to be. These machines are the enemy of good coffee. They promote the belief that making a cup of coffee is hard and messy. It isn’t. We live in a hyper connected world. By the time a coffee news item hits the front page of major news outlets, there is more than a decent chance I have seen it or will soon. Recently NPR did a coffee story. Within a few days, about 7 people sent me links to the story. I think it was about some animal pooping out coffee (see #2). Before you share any news item to anyone, give them a little credit and assume they aren’t living under a rock. The best news items will always be the ones that are way under the radar. A fresh angle on coffee that hasn’t been reprinted everywhere will always be more interesting than headline coffee news. OK. Rant over. I feel better now.